Thanksgiving Themed Neighborhood Party– This Tuesday, 11/14! 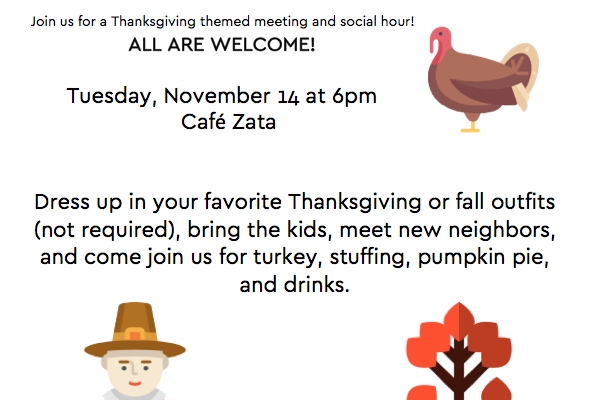 Join friends and neighbors this Tuesday, November 14 at 6pm at Cafe Zata for free food. fun, drinks, and holiday cheer! Instead of a regular WHNA meeting we will have a Thanksgiving themed party– ALL are welcome to attend and families are encouraged. 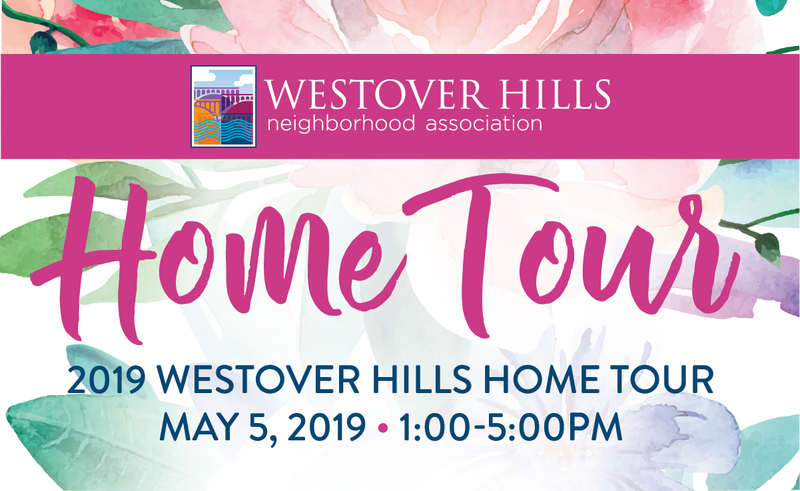 This is a great opportunity to meet some of your neighbors, and talk about all the things that make Westover Hills great! Option to dress up in your favorite Thanksgiving or fall outfits! 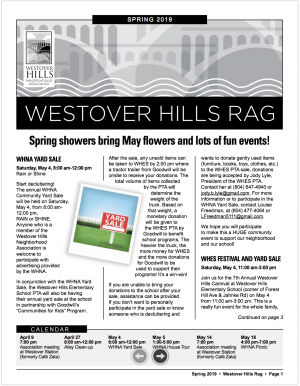 Do you love Westover Hills Elementary School? 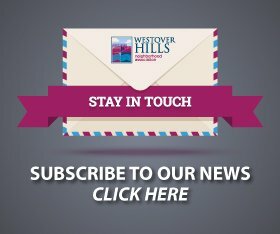 Are you looking for ways to support our neighborhood school? STAY RVA has just launched STAY Supporters, a program where you “adopt” a teacher/staff person at WHES and take them a little treat a few times during the school year to show our appreciation. If you’d like to sign up, email info@stayrva.org and we’ll match you. We’re looking for 35 folks to make this a success! 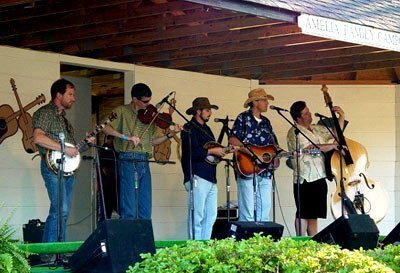 The Slack Family Bluegrass Band will perform Sunday, October 22, from 5 to 7 p.m. in Forest Hill Park in the final concert of “Music in the Park” for 2017. Come on out! Change of location for tomorrow’s meeting: we will be at O’Toole’s (4800 Forest Hill Avenue). Come join your neighbors for a drink and food starting at 6pm, the meeting will begin at 7pm. Just tell the host that you’re here for Westover Hills and they will show you to our room. This meeting will include updates from Councilwoman Kristen Larson, School Board Representative Jonathon Young, and Richmond City Police. We will also be taking comments on the final updates to the WHNA bylaws before the board votes.